All Bosses and How to Defeat Them + Endings. All Black Market Upgrades and How to Unlock Them. How to Find the Secret Dev Room. There are 9 regular ships, 3 boss ships, and 3 special locations that the player can traverse in the course of the game. The first three main Bounties, Bad Billy Bullseye, Goldfeathers, and Baron Von Guu will only obtain 3 of the regular ships that correspond to them and, of course, their own boss ship. The special locations will each have a description at the bottom of this section. The Hardhorn Fleet are under Bad Billy Bullseye's command, The Stonebeaks are under Goldfeathers' command, and The Liquidators are under Baron Von Guu's command. However, when trying to recruit them all to help face off against Gwarlock, you can come across any of the 9 regular ships. Regardless of the ship type, it will always contain a general difficulty level on the bottom right of its card, and the names and symbols of the Variants it will contain located beneath its name. All regular ships function basically the same in every way aside from the number of rooms; the visually larger ships tend to have a greater number of rooms on average. The only other major differences between regular ships come from Variants. Other than that, the majority of enemy ships will contain Obstacle Rooms, Treasure Rooms, Battle Rooms, and a Mini-Boss Room. Outside of Variant specific rooms, they also have a chance to have Challenge Rooms (with Fang Scruffington), the Helm of the ship(with Coxswain Forthright), a variety of shop types (manned by Tralavar Ploom, Mr. Blorg, or HookHook), a Scalestone Shrine, and a secret room. The 3 boss ships, Cobalt Xebec, Hammerlock One, and Fightenstein contain the boss fights with Bad Billy Bullseye, Goldfeathers, and Baron Von Guu, respectively. Each boss ship has very few rooms, but each one has some form of free healing available before entering the boss room. They contain a Boss Chest in the final room instead of a Ship Clear Chest. Nomad's Land can only be accessed by clearing a couple of ships in a row while taking only a couple of hits. Nomad's Lands don't really have much to them; they contain three Tiny Chests in a room that has nothing but platforming challenges, and then the next room has an Astro Whistle in a Ship Clear Chest that Flinthook will use to return to his ship. The Astro Whistle replaces a Space Shell and so it does not grant a Ghost Gem, but it does still grant at least one Black Market Coin for cleaning it. Visiting Nomad's Land is generally only useful if you are aiming for a high scoring run. Ghost Ships require the player to have obtained 3 curses in one run before they have the ability to visit them, and then the player has no choice but to pick the Ghost Ship as their next destination. Ghost Ships always have the Fogfull and Dizztortion Variants (though it only ever lists Fogfull), making them a bit tricky to navigate from a visual perspective. They contain only Ghostly enemies (where applicable) and they have a special boss at the end. The boss you encounter on a Ghost Ship will differ depending on which Bounty you are currently chasing; you will encounter Tusky Grimble while tracking down Goldfeathers, Horace Vorace while tracking down Baron Von Guu, and The Dueling Deaths when recruiting the Cluster Clan against Gwarlock. Even if you obtain 3 curses on a Bad Billy Bullseye run you will not have the option to visit a Ghost Ship, although you can still visit a Ghost Ship in Infinite Raid (the boss is just Tusky Grimble). Ghost Ships are also very helpful for score runs as they offer an Astro Whistle at the end like Nomad's Lands do. The beginning of Captain Flinthook's journey, and also the end. 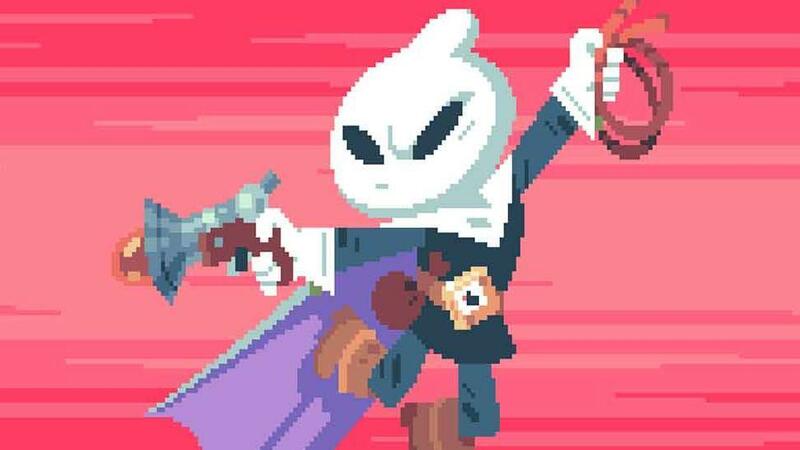 After recruiting the three leaders of the Cluster Clan, Flinthook returns to the Galactic Lighthouse to face off against his old friend, Gwarlock.